Google Analytics is a fantastic tool and is by far the most popular one to analyze web performances. But the tool itself is not sufficient to provide you with the insights you need. While there are a lot of articles about how to use the tool, the following article aims at giving you 5 real-life examples on how to use Analytics in very specific situations. Let’s dive right in. Here’s an Analytics screenshot of a site redesign we did for a client. We launched the site about 4 weeks ago (see the red arrow). Looking at the chart quickly, would you say the redesign is doing well or not? Most clients would look at this and be very worried… And to be honest, so were we at first! So I decided to dig in to find a reasonable explanation. As you can see, most of the traffic sources are down just by a few percentage points (which is normal when launching a new site, especially for organic traffic), but the social traffic is WAY down. When I found out about this, we asked the client if they had changed anything in their social media activities. They told us they had a big campaign that had just come to an end a few weeks earlier.. So it turned out the big drop in traffic wasn’t due to the redesign.. Hence the importance to analyze the data far beyond the numbers you see and to contextualize them. 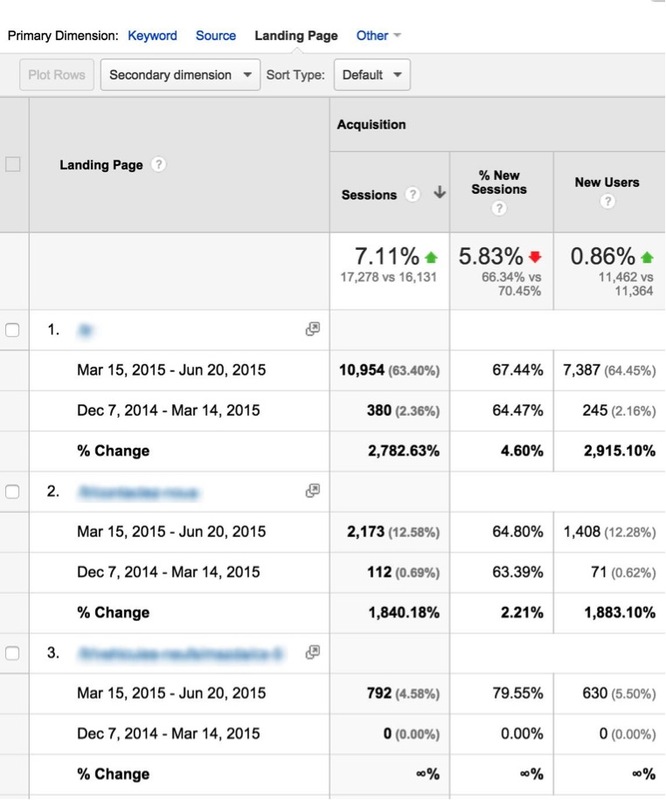 Quite often, we will work on a site that has no goal-tracking history in Google Analytics. This makes it really hard to analyze past versus new performances when we launch a new site. But sometimes, you can still get an idea of past performances by looking for some kind of “thank you” pages from the previous site. For example, imagine the main goal of a client is to generate leads through a contact form. If you’re lucky, the form will have a “thank you” page instead of an Ajax “thank you” message. In this case, you just need to find the “thank you” page by looking into the All pages report. In the filter, just try variations of “thank-you, confirmed, complete, checkout” and the likes and you might find a “thank you” page that you can use to calculate the previous conversion rate. Now you only need to take the total amount of “thank you” page views and divide it by the total number of visits in order to get the conversion rate. For example, the previous period had 43,834 visits and 2,482 thank you page views, so (2,482 / 43,834) = 5.66% conversion rate. The new version of the site had 29,487, so (1,730 / 29,487) = 5.87%. That’s how you can compare previous with new performances if a site didn’t have any goals set. Quite often, an agency will launch a site redesign only to find out a few weeks later that the organic traffic has plummeted. This can happen for many reasons (a no-index tag is still on live pages, the site has much less content than before, etc). But sometimes, even when the agency did its due diligence and carefully followed all SEO best practices, the traffic can significantly drop (and this is very frustrating). Here’s a way to quickly analyse which pages are problematic, which in turn may help you get to the root cause of the problem. The traffic is pretty stable, but since we worked hard to optimize the site, added a lot of content and implemented a link-building campaign, the traffic should be growing instead of remaining at the same level. So we dug further. In order to do that in Google Analytics, you simply have to click on “Channel” on the left-hand side menu, then click on “Organic search” and then choose “Landing Page” as the primary dimension. This is what you’ll see by default (it is called the “Default” Sort Type). It’s not ideal because it only shows you the pages sorted by most traffic for the current period. You now see all the pages that had a lot of traffic before but now don’t. Finally, it turned out that all the English pages had a rel=“canonical” tag pointing to a specific page, thereby excluding all English pages from Google’s index . They’ve now removed it and the traffic is growing nicely. We have an eCommerce client that we are helping with AdWords and SEO. Of course, the main thing the client wants to see is a positive ROI on marketing activities. Typically, we could look at the cpc channel (AdWords) and get the generated revenue. Here’s a screenshot below. 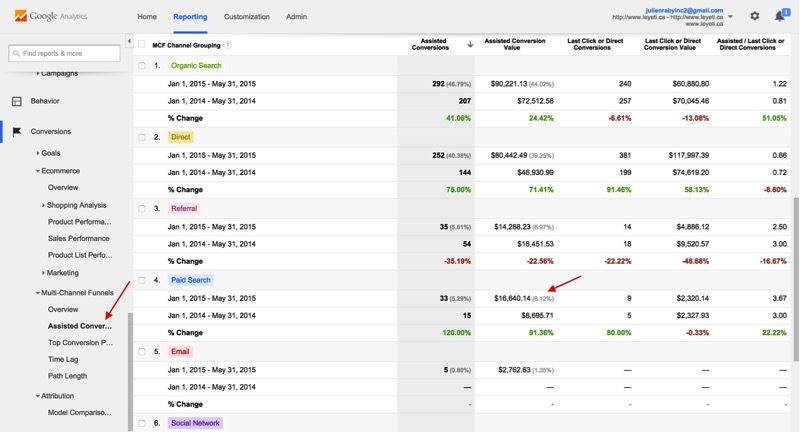 As you can see, the AdWords campaign generated 7,500$ in sales (with an investment of 4,700$ in AdWords). 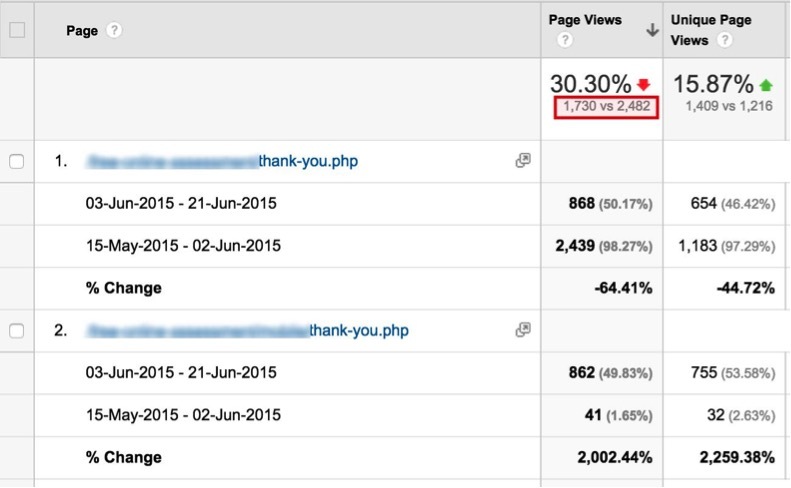 That’s why we like to use a view in Analytics called the “Assisted Conversions”. This works best for eCommerce sites, but you can use it for lead-generating sites as well. Taking a look at the data from this point of view gives you a completely different picture. You can see that the paid search channel (AdWords) was in fact responsible for over 16,000$ worth of sales + 2000$ in direct sales, which means that for each of these transactions, somewhere in the customer path to purchase there was an AdWords ad involved. 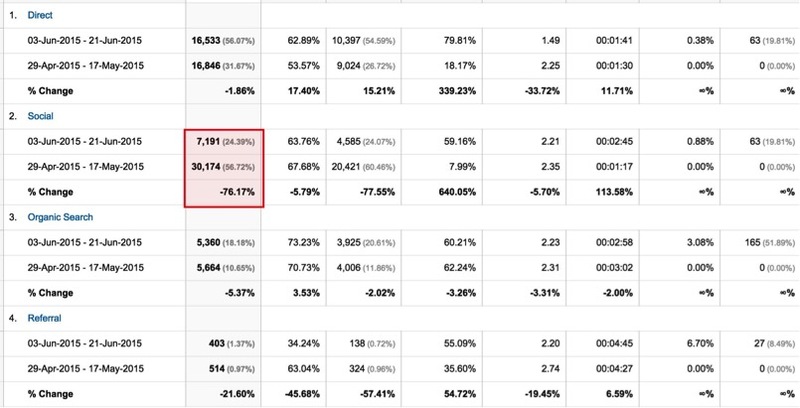 This is a much more realistic way of analyzing your paid advertising performances since the customer very rarely buys on the spot (he shops, compares, try to find deals, etc). But AdWords is a great way to bring potential customers in and analyzing it this way is a much better approach to determine the effectiveness of your paid marketing performances. There are two ways we like to present this type of data to our clients: (1) the total number of views on all articles or (2) the number of visitors we attracted to the site with these articles. Either way, the approach is similar. In Analytics you can segment data with what’s called “regular expressions” in programming. We will use a simple operator called the pipe “|”, which basically means “OR”. So our string will look like this: “01|02|03|04|05|06|07|08|09|10|11|12” (which basically means: Find all URLs that have either “01” or “02” and so on in the URL). You just need to click on “advanced” in the filter box, then select “Matching RegEx” and input the following filter (you will have to adjust the exact filter to find the one that works for you). As you can see in the screenshot above, our efforts are starting to pay off: we started at around 1700 monthly page views and we are now around 4000. The data now reveal that we attract close to 2000 organic visitors per month with our content marketing efforts! 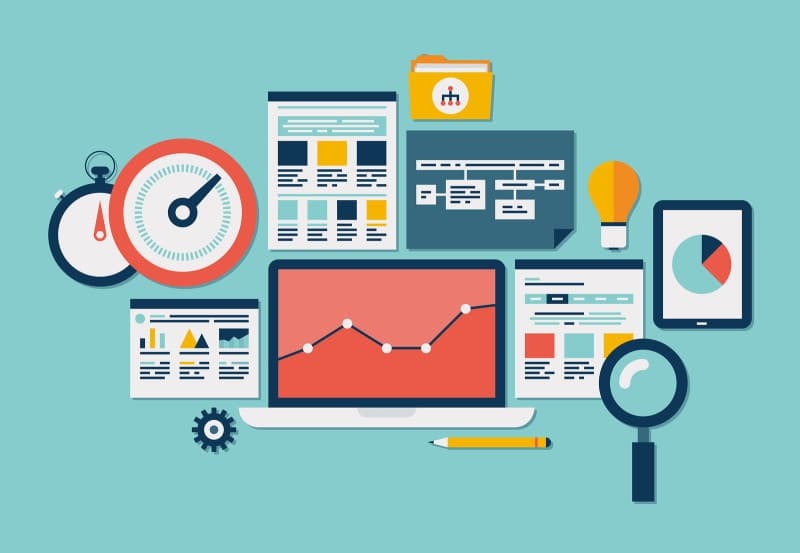 We hope you enjoyed these Google Analytics tips. If you have any other tips/hacks, please share them in the comments below! Aina est team lead de l'équipe d'inbound marketing (SEO et création de contenu) chez Combustible. Elle supervise 4 experts et plusieurs pigistes qui produisent 300 à 400 articles par mois pour nos clients. Vraiment génial comme article, ça vaut cher, merci! Hey, this is really useful info. Thanks for posting this. Please Keep up the good work and post more such articles!! You're serious about wanting to increase your revenue?